If you’re in need of new gutters and want to tackle the project yourself, you’ll need to know how many gutters to use and how long each needs to be. Here, our gutter installation experts tell you how you can measure for both gutters and downspouts. Get a ladder that extends at least 20 feet and can safely rest up against your home. Place your ladder at the corner of your home. Be sure not to put anything heavy on it and have someone hold it steady at the bottom. Climb to the base of your roof and use your measuring tape to measure the length of it horizontally. Mark the end of your measurement with chalk. Move your ladder to the next section of your home and start the next measurement from your chalk mark. Once you get to the other corner of the first side of your home, write down the total measurement. Repeat this process (steps 2-6) on the other sides of your home. 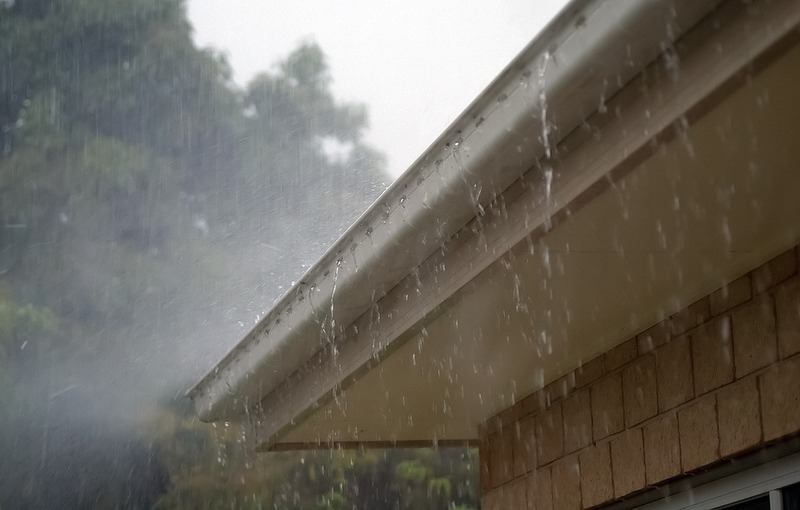 These measurements will be what you’ll need when choosing gutters. To measure for your downspouts, place your ladder at the corner of your home. Start from the ground and measure up the side of your home. Continue up the side of your home and as you get higher, climb up your ladder to continue the measurements. Once you get to the base of your roof, write down the total measurement. This measurement will be what you need when choosing downspouts.